Like all other Canon EOS-1 series cameras, the EOS-1D Mark III accepts the full range of EF lenses available for full-frame cameras. Because its sensor is larger than those of the Rebel and 30D line (a 1.3x crop factor), it can't use the EF-S lenses Canon manufactures for use on sub-frame DSLRs. The same would apply to lenses with sub-35mm image circles available from third-party manufacturers as well. Since the optical characteristics of the 1D Mark III will depend entirely on the lens you happen to be using with it, there's not a lot to say about optical quality here. As we'll see though, there's a lot to say about the Mark III's autofocus system, both operationally, and from a user-interface standpoint. The Mark III also has the extraordinary ability to adapt its AF system to individual lenses, a first for any SLR that we're aware of. Read on for the details. In talking about a camera's speeds and feeds, megapixels and digitizer bits, it's easy to miss the importance of autofocus in the story. To do so with the Canon EOS-1D Mark III, though, would be to miss a great deal indeed: Improvements in its AF system are both significant and wide-ranging, and in at least one area, truly revolutionary. On the surface, the 1D Mark III's AF system looks a lot like those of its predecessors, in that there's the same 45-point array of AF sensors that we've seen in all the EOS-1 series models. When you stop to look under the hood, though, it immediately becomes clear that there have been a lot of pretty significant changes. Some of the more technical details are a little unclear to us as we're assembling this, so we'll be seeking clarification from Canon and updating this section over the next few days. The basics are plain enough that there's plenty we can talk about now. On the earlier EOS-1 bodies, seven out of the 45 AF sensors were cross-type, arranged in a cluster around the center of the frame. This meant that focus acquisition was much more reliable near the center of the frame than around the edges. On the EOS-1D Mark III, there are no less than 19 cross-type sensors, which are now distributed across the entire AF area. The initial Canon white paper on the Mark III was more than a little confusing about some of the specifics of the Mark III's AF improvements. A little discussion with top Canon USA technical rep Chuck Westfall set the story straight, though. 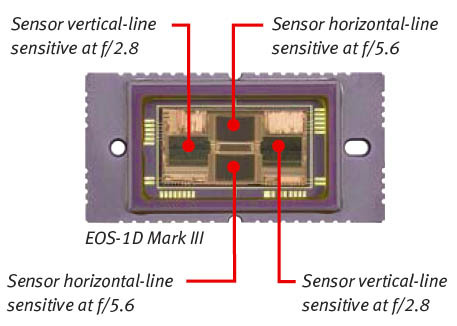 To understand the AF sensor improvements in the Mark III, let's start with the AF sensor that was used on previous EOS-1 series bodies. The illustration shot above shows the earlier sensor layout. (Image courtesy Canon USA, Inc.) We added the red and blue tints to designate the vertical-line-sensitive and horizontal-line-sensitive sensor arrays respectively, matching the AF array illustration to the right. To understand how this works, envision the full frame image being mapped into four separate areas on the AF sensor, each image centered on one of the arrays. The Canon illustration above shows how a cluster of small secondary lenses diverts and directs light from the camera's lens onto each of the AF sensor arrays. (We colored the AF arrays to match the previous photo of the sensor itself and illustration of the AF points above.) The AF arrays are in pairs, the two to left and right combining to form the central cluster of vertical-line-sensitive AF points, and the large arrays top and bottom combining to form the array of horizontal-sensitive elements that cover the full AF area. The photo above (also courtesy Canon USA, Inc.) shows the sensor from the new EOS-1D Mark III. Notice how all four sensor arrays are the same size, both vertical- and horizontal-sensitive elements now covering the full AF area. This is how the Mark III manages to distribute cross-type AF points across the entire AF area, rather than just in a cluster around the center. The two full-size AF arrays on the left and right contain elements corresponding to the pink-marked vertical-sensitive AF points in the diagram below. The legend on the diagram above makes reference to "f/2.8 sensors" and "f/5.6 sensors," and also notes that the Center AF point is "f/4." Without going into all the details of how phase-detect autofocus systems work, at the heart of it is the need for light rays to reach the AF sensor, passing through different parts of the lens' optics. When the aperture is large, you can separate the light rays more widely, providing a longer "baseline" for the AF system, and in the process improve its accuracy. When the aperture is small, though, the light rays can't reach widely-separated sensor elements. Any AF elements having a wider separation than that allowed by the current aperture setting simply stop working, because they're not seeing any light from the subject at that point. What this means for the EOS-1D Mark III is that its more closely spaced horizontal-sensitive AF arrays can work at apertures as small as f/5.6, while the more widely-separated (and therefore more accurate) vertical-sensitive arrays can only work at apertures of f/2.8 and larger. The central AF point strikes a compromise, working as a full cross-type sensor at f/4, and as a horizontal-only sensor down to f/8. Canon added one more interesting twist with the central array, though: While it doesn't cover as wide an area as the "f/2.8" arrays, it does have twice as many sensor elements per unit of length. This gives it accuracy equivalent to the f/2.8 arrays, but at a smaller aperture of f/4. 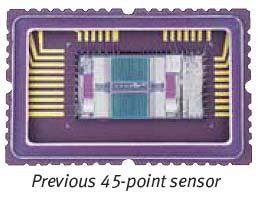 The AF sensor is really just another type of image sensor, very much akin to the main image sensor in the Mark III's body. It turns out that the same sort of noise reduction technology that improved noise levels in images and layout enhancements that led to better light-gathering efficiency in the 1D Mark III's CMOS image sensor could be applied to the AF sensor as well, with similar results: The Canon EOS-1D Mark III's AF system works over a range from EV -1 to EV 18, reaching a full stop lower than the EV 0 limit of previous EOS-1 series bodies. That should make focusing faster and more accurate in low light situations. As we've noted elsewhere in this review, there are a lot of changes in the Canon EOS-1D Mark III's user interface relative to previous EOS-1 series models. The autofocus system is one area where the user interface changes may initially confound photographers familiar with previous EOS-1D cameras. The diagram below shows the three options available for selecting the AF points. In all AF-selection modes, the large Quick Control Dial on the rear panel lets you step along the green-marked path in the diagrams above. The top-mounted Main Dial lets you step between groups of points and/or the Automatic selection setting. The default mode (Custom Function setting III-9-0) is shown on the left, and may prove rather confusing for existing EOS-1 shooters. Here, the selectable AF points are split into three groups, the left "(" group, the center circle, and the right ")" group. Turning the Main Dial will select between the groups. Scrolling past either end of the array will select the Automatic setting, where the camera will choose whichever points it thinks best correspond to the active subject. (This setting is indicated in the viewfinder by a flash of all the points on the outer ring or "racetrack." In center illustration (Custom Function setting III-9-1), the Main Dial selects between the center group of 9 AF points and the Auto setting. 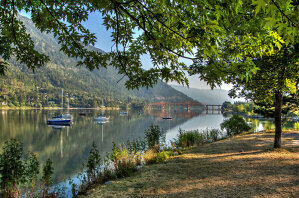 This setting would be most useful if you expect your subject to be somewhere in the middle of the frame. Custom Function setting III-9-2, shown on the right above, will probably be most familiar to previous EOS-1 shooters; providing the "racetrack plus center" option that was the default on previous EOS-1 cameras. This setting will work best for off-center subjects. NOTE in the above, that while you can only select from among the 19 cross-type AF points, all 45 AF points remain active, and will light up in the viewfinder display as come into focus. Likewise, all 45 AF points are active in AF tracking, such that all points help track the subject as it moves across the frame. We confess that we found the default AF-point selection mode very confusing and awkward to work with. It was surprisingly hard to switch back and forth between the Quick Command Dial and Main Dial to move the AF point around the image. We think we understand what Canon was trying to do with the default mode, namely avoid having to scroll through all the points in sequence to get to the one you want . Frankly though, we think it would have been much easier and in practice faster to do that than to have to juggle back and forth between the dials. It's possible that this would become more natural as you get more familiar with the camera, but we wonder why Canon didn't just include a fourth mode that would let you scroll through all points via the Quick Command Dial, without having to resort to the Main Dial at all. Here's an area where the changes Canon has made should be welcome to a lot of sports and other action shooters: The new EOS-1D Mark III offers some much-improved options for how the Mark III handles the shutter release priority in continuous shooting mode. As a preface to understanding the release behavior, it's important to understand what focus-priority and shooting-priority mean. The terms are the opposite of each other, referring to whether the camera waits for the AF system to lock on to the subject before releasing the shutter in response to the user pressing the shutter button or the continuous-mode shot timer requesting another exposure. In Focus Priority, the camera will wait for a focus lock before firing the shutter, insuring that your shots will always be in-focus, but possibly missing a critical moment. In Release Priority, the camera will fire the shutter when you ask it to, so you'll always capture the moment you intended, but possibly at the cost of some frames being out of focus. During continuous shooting sequences, the camera can be set to behave differently for the first shot of the series than for subsequent shots. Previous Mark II models could be configured to be release priority for the first shot of a series, and then either release or focus-priority for subsequent shots. The release/focus-priority setting was often disconcerting to photographers, as the camera would grab the first frame when they were expecting it to (but sometimes capturing an out-of-focus image as a result), but then would "stutter" through the remaining images, waiting for the subject to be in focus for each shot, and therefore not necessarily shooting at the frame rate that was selected. The new Mark III no longer offers a release/focus shutter priority option, but instead adds options for focus/release and focus/focus, which probably make more sense for the way most photographers work. For instance, it's quite likely that you'd want the camera to wait for the subject to initially come into focus before firing the first shot, but then simply do its best to track the subject during the rest of the series, always shooting at the selected frame rate. Alternatively, you may want the camera to shoot only when the subject is in focus, for all shots in the series, including the first. Finally, there may be times when you just want the camera to fire the shutter regardless of focus, for all shots in the series. The unsupported release/focus priority option really doesn't seem to be that useful, and we expect few shooters will mourn its passing. Phew! That's a lot of detail about the Mark III's AF system and user interface, but we thought it would be helpful for readers to understand the details of how the various AF points work at different apertures, and the reasons why. Testing dozens of lenses on several different camera bodies for our SLRgear.com sister site, we'd about come to the conclusion that the fine detail of SLR autofocus operation was one of the dirty little secrets of the photo business. As photographers, we've come to pretty much take for granted the accuracy and reliability of modern AF systems. When we've gotten an out-of-focus image, we generally assumed that we just didn't give the camera a good enough piece of subject detail to focus on, or that we twitched while it was focusing. But it turns out that focus accuracy can depend as much on the lens as on the body! That is, a body that front-focuses with one lens might be perfectly accurate with another, and back-focus somewhat with a third. This is supported by stories we've heard of photographers sending their entire kit of bodies and multiple lenses back to the manufacturer, so the whole collection can be "tuned" to work together. Imagine our amazement and delight then, upon discovering that the 1D Mark III lets you (the user) tune its micro-focusing behavior! That's right, you can now directly adjust the camera's front/back focus characteristic yourself, without having to send it in to Canon for repair. That by itself is pretty amazing, but there's more: You can register up to 20 different lenses with the 1D Mark III, and program different front/back focus settings for each! This is a huge step forward for image quality and focus accuracy, a real technical breakthrough of the first order. Lest we be accused of painting too rosy a picture, there are some limitations in the Mark III's AF micro-adjustment system. First, the camera can only recognize lenses based on the lens model, not the lens serial number: If you have two of the same model lens, the camera will apply the same correction factor to both. The second limitation is that there can only be a single correction factor for each lens, but some wide-ratio zoom lenses may actually need different focus adjustments at the wide and telephoto ends of their zoom range. In such cases, Canon recommends dialing in the focus adjustment based on the telephoto performance, since that's where the correction is likely to be the most needed. The Canon EOS-1D Mark III is sold body only, so this section left blank intentionally, as optical performance will depend on the lens being used. The images above were taken from our standardized test shots. For a collection of more pictorial photos, see our Canon EOS-1D Mark III Photo Gallery .